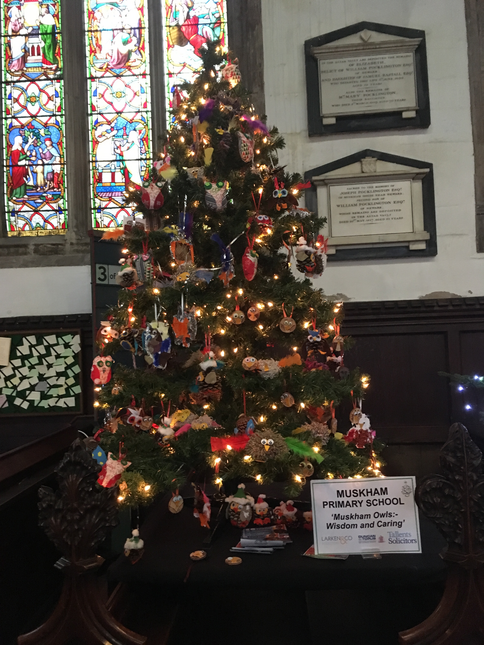 If you visited the Christmas Tree Festival at Newark Parish Church of St Mary Magdalene this year, we hope you enjoyed our school Christmas Tree! Each class created their own decoration on the theme of 'Muskham Owls' (our logo). We were very proud to receive positive feedback from the community.